Have you ever thought of doing a digital detox? The thought of taking a break from all digital devices may give some people an anxiety attack, but Penguin Random House has a bit of experience in how to do it right. They have, after all, being doing digital detox for the entire month of January. 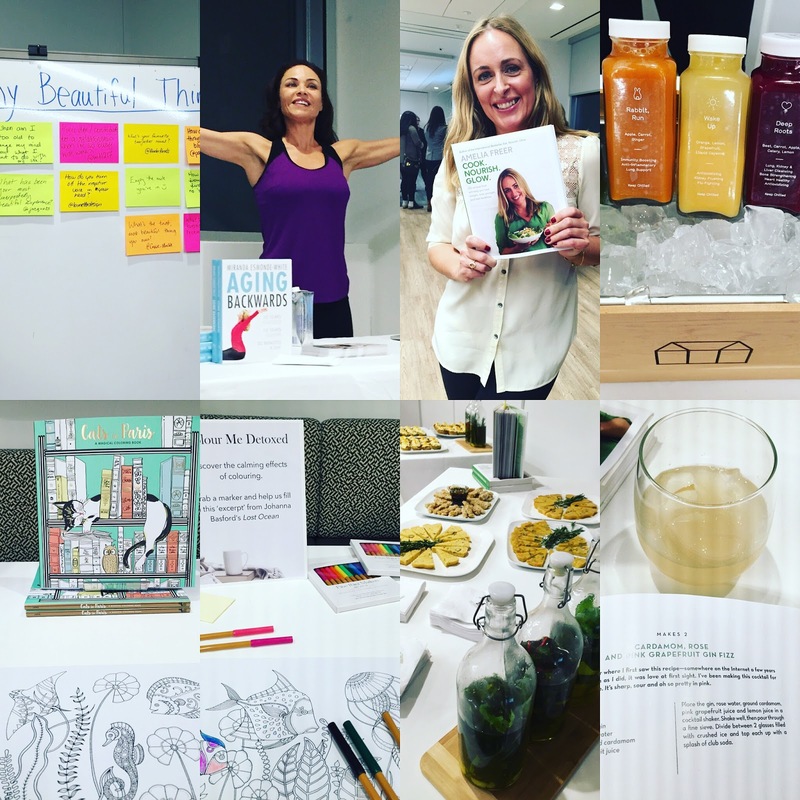 I was invited to their private Digital Detox event at their Toronto office, and boy was it quite a feel good night! I have to admit that my jealously radar rose after listening to all their stories of taking an hour off every workday to enjoy some colouring, reading, taking a walk, or just enjoying the time to reconnect with their passions and their colleagues. This all seems like a great idea; so it begs the question: why don't more companies employ this in their workplace? Well, as you contemplate that question, perhaps here are some reasons why digital detox may be best detox for your health. Eat Healthy - Amelia Freer's new book Cook Nourish Glow is a good start. Full of healthy recipes and even a few delicious cocktails like Cardamon Rum Rose & Grapefruit Gin Fizz. Do some colouring - This activity has been all the craze in the last year or so. Have you tried it yet? Colouring books now come in all sorts of genres for different personality types. Whether you are a cat lover, Game Of Throne super fan, or just someone who loves nature, there's a colouring book for you. Stretching - Essentrics Instructor Josephine Cuthill knows a thing or two about flexibility and aging backwards. If you're going to add sports into your detox schedule, you're going to need that extra flexibility. Enjoy some pampering - Butterme Body was on hand to give guests hand scrubs with their natural and organic body care line. Favourful scents like pomegranate, mango and vanilla, just help relax and calm you into a good mood.